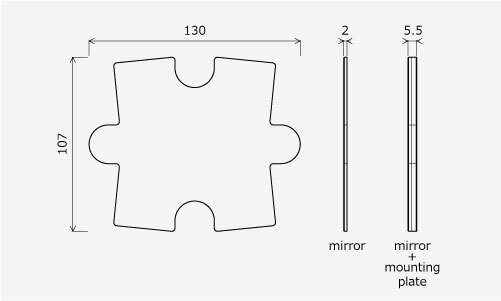 This is a glass mirror which was machined precisely in the form of a puzzle piece. This is machined precisely one by one. 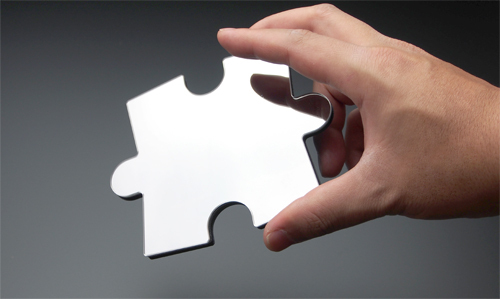 A protective layer is printed on the back side and prevents the deterioration of the mirror. 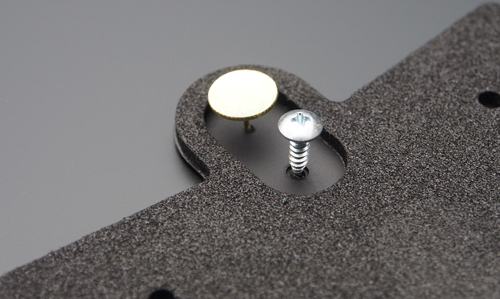 By using an mounting panel it can be easily attached to a wall surface with a thumbtack or a screw. 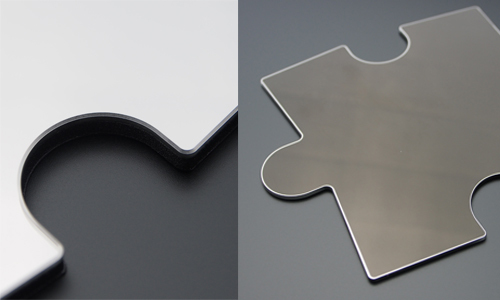 the mirror snaps onto its mounting panel with a magnet, and covers the mounting parts. 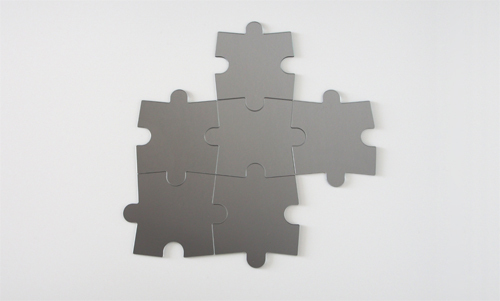 By increasing a piece, you can coordinate size and form as you like. Copyright (C) 2014 MITEC CO., LTD. All Right Reserved.